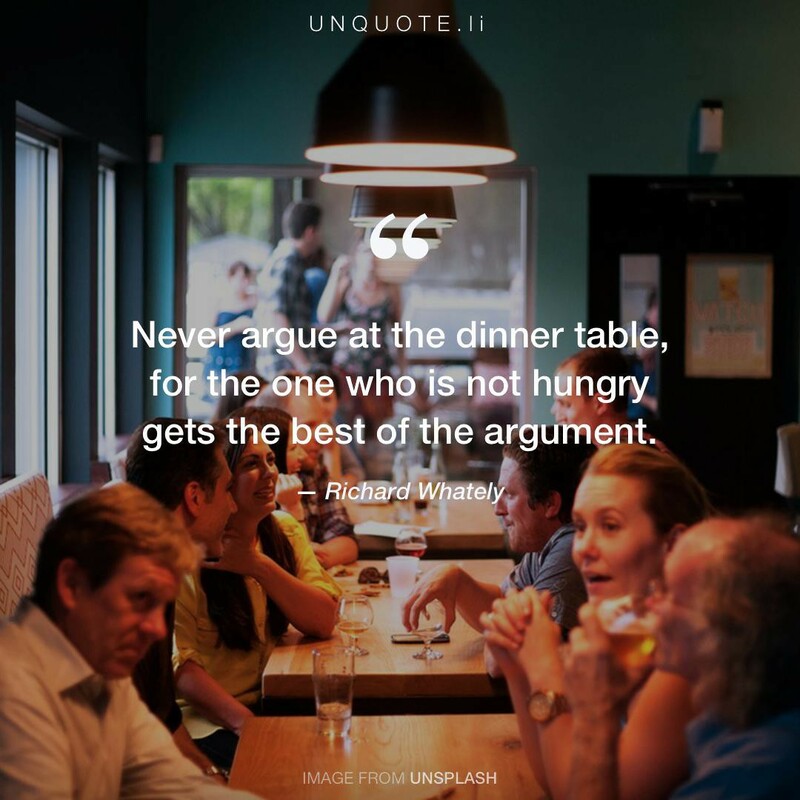 Never argue at the dinner table, for the one who is not hungry gets the best of the argument. Quote from Richard Whately. Never argue at the dinner table, for the one who is not hungry gets the best of the argument.